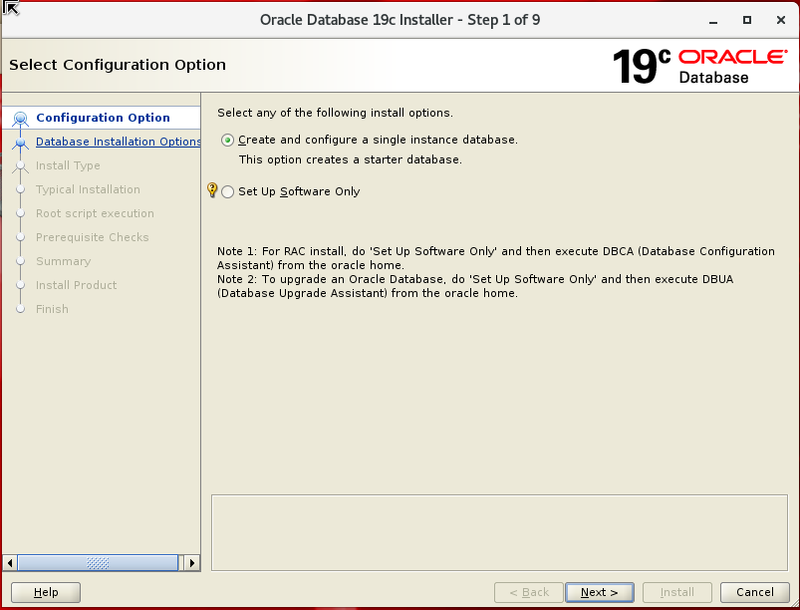 I will tell Oracle database 19c installation step by step in this post. 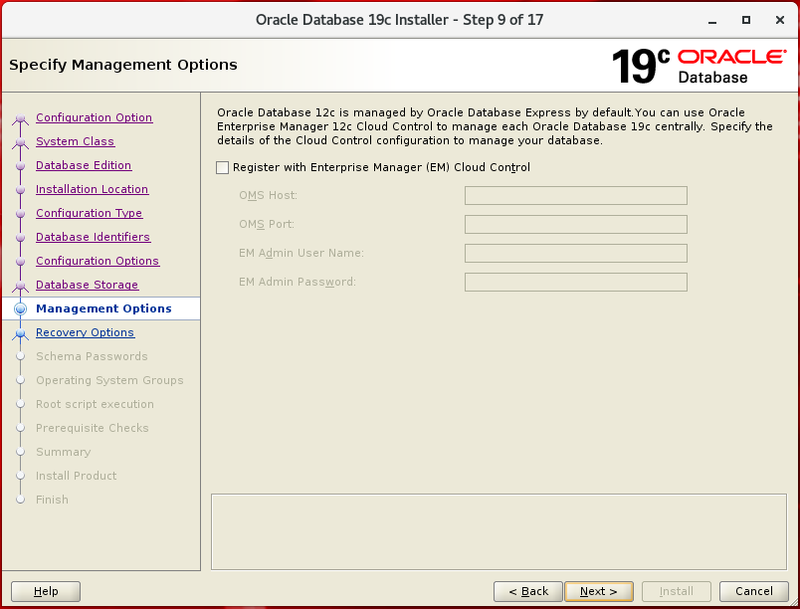 Lets remember that Oracle has announced that Oracle 19c is available yet but it is supported for Exadata for now. We are downloading Oracle database 19c version from Oracle Support. 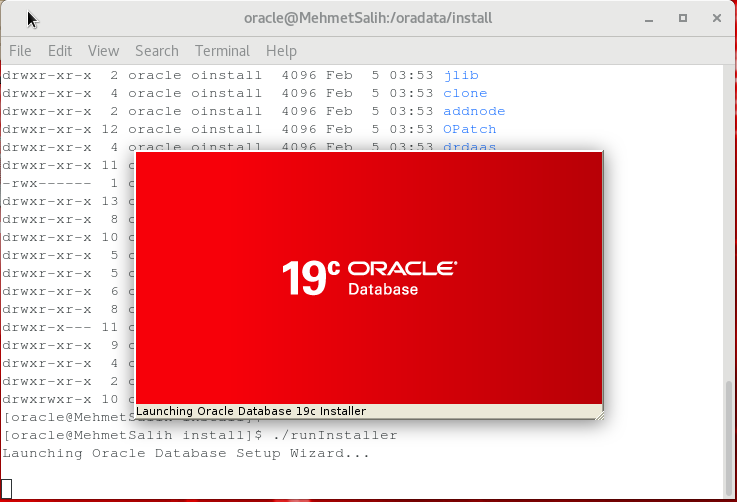 The Oracle database 19c installation file will be downloaded from https://support.oracle.com or https://edelivery.oracle.com and transfered to the our Linux server. 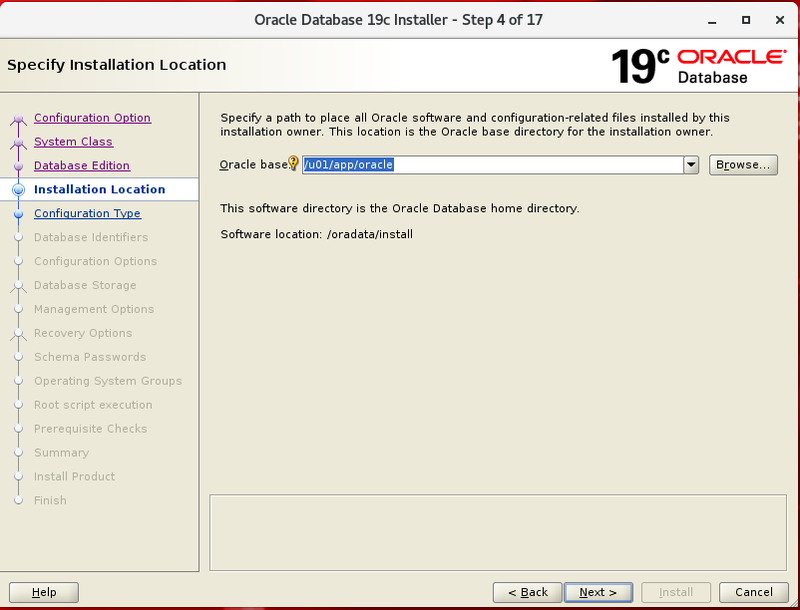 You should install Oracle preinstall package like following. 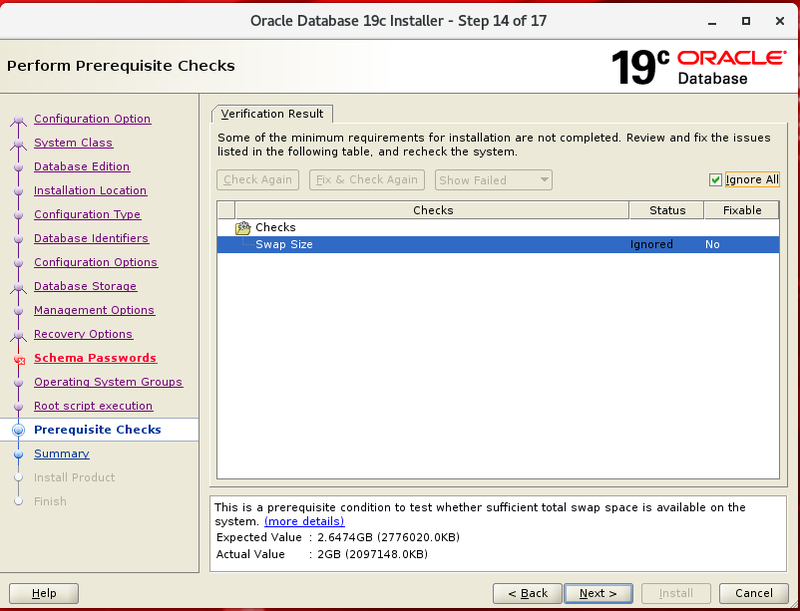 Oracle 19c preinstall yum package is not available yet. 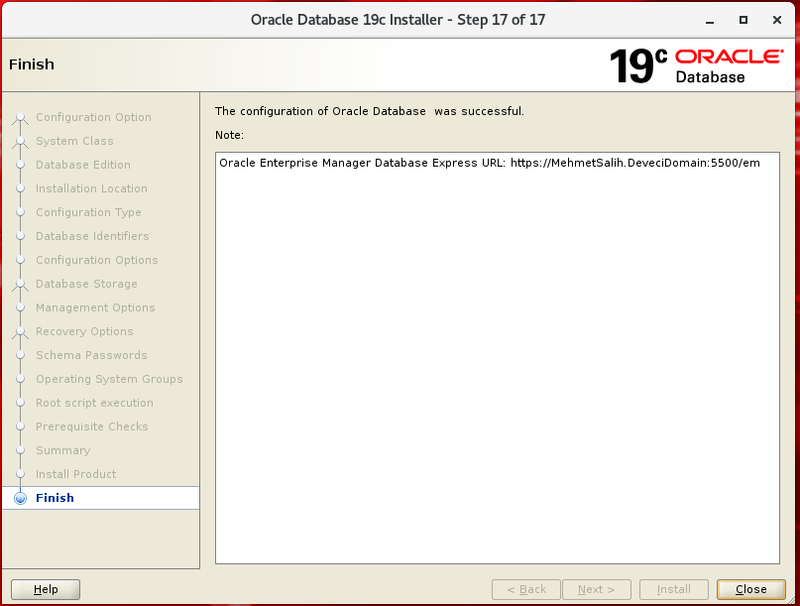 So I have installed oracle-database-preinstall-18c.x86_64 package. Unzip installation zip folder and execute runInstaller like following screenshot. I have choosen ” Create and Configure a single instance database” option to install Oracle database 19c. Click Next button. In this step, we choose Server Class and not Desktop class. If you are going to set up a test environment, you can choose Desktop class, but you need to select Server class for Live environment setups. This step asks for the database edition preference. Especially in institutions, those who install this installation should pay attention. If you have an Enterprise Edition license, you should install Enterprise edition, and if your IT budget is low, you should install the Standard edition. 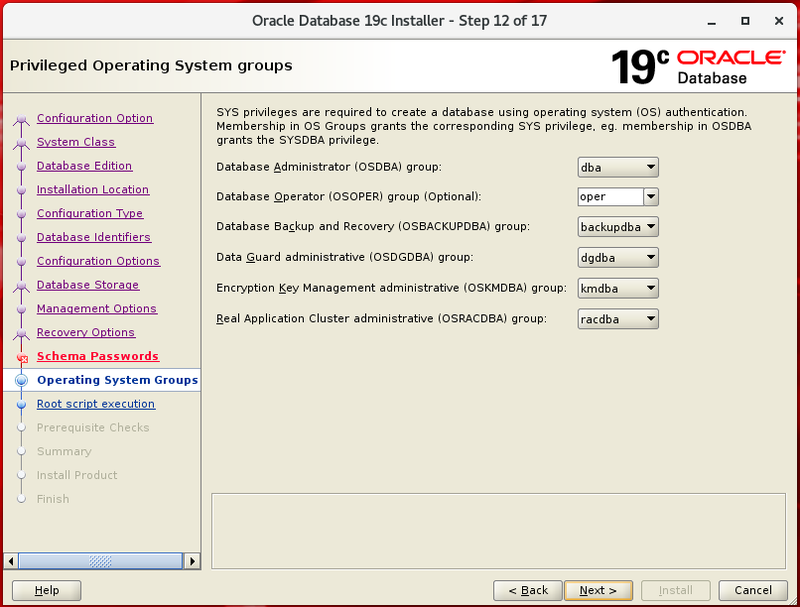 In this step we define the Oracle database 19c software home folder. In this step, we choose the General purpose for OLTP systems, if we were setting up a database for the datawarehouse systems, we had to choose the second option. 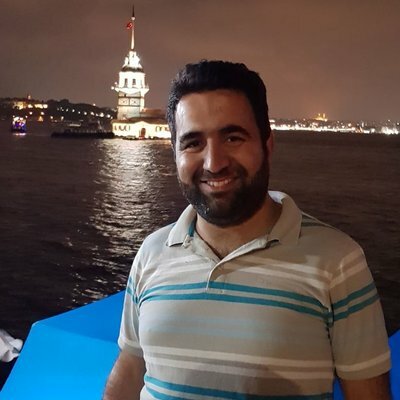 In this step, we give name of our database Global and Instance name. 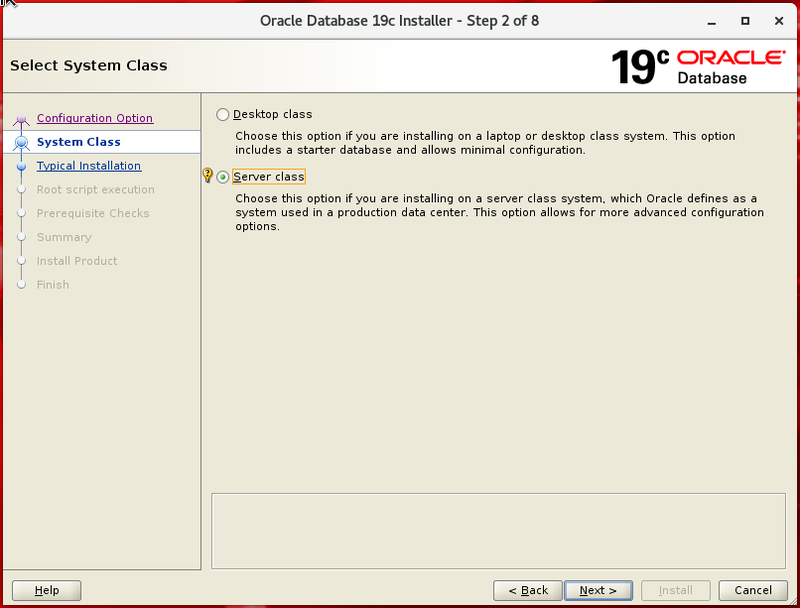 This step is one of the most important steps in creating a Database. So you need to be careful in this step, some changes may not be changed later. 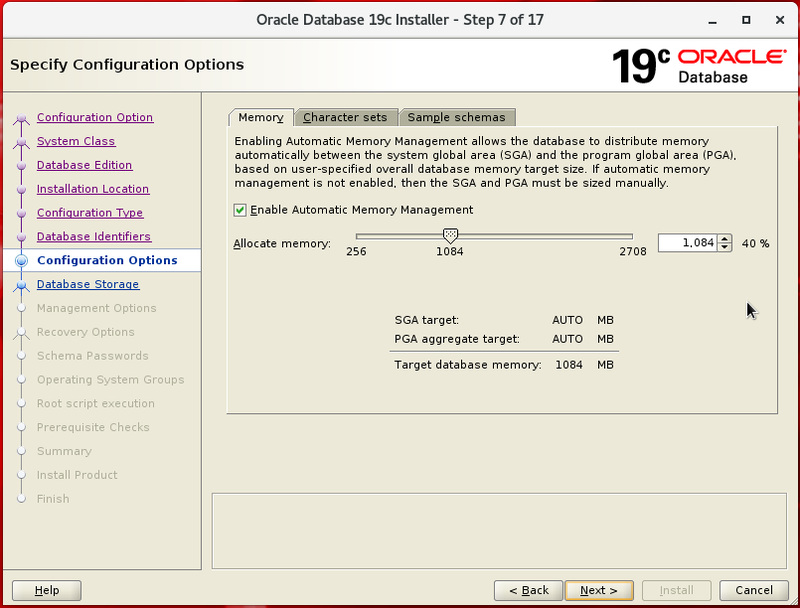 Database memory management is defined in this step, whether it is manual or manual. Database memory management will be discussed in detail in the next sections. 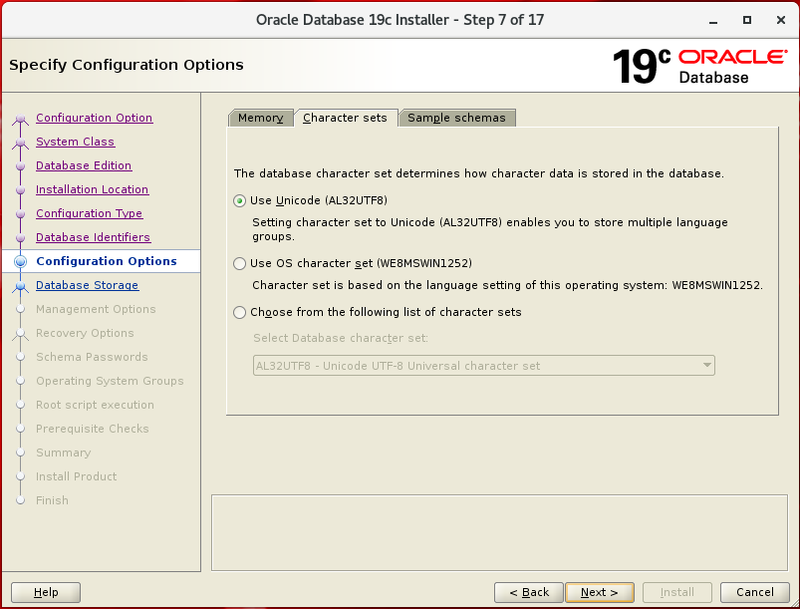 This step sets the Database Character set. 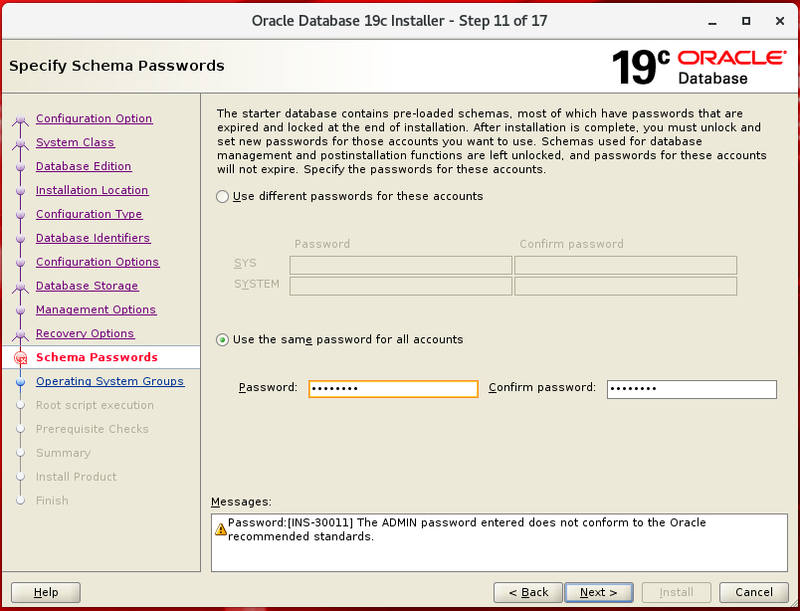 The character is also a critical parameter for the database setup because it is one of the unchanging properties after installation. In live environments or production environments, these features should be determined according to the compatibility of software with software teams and which character is compatible with the set. 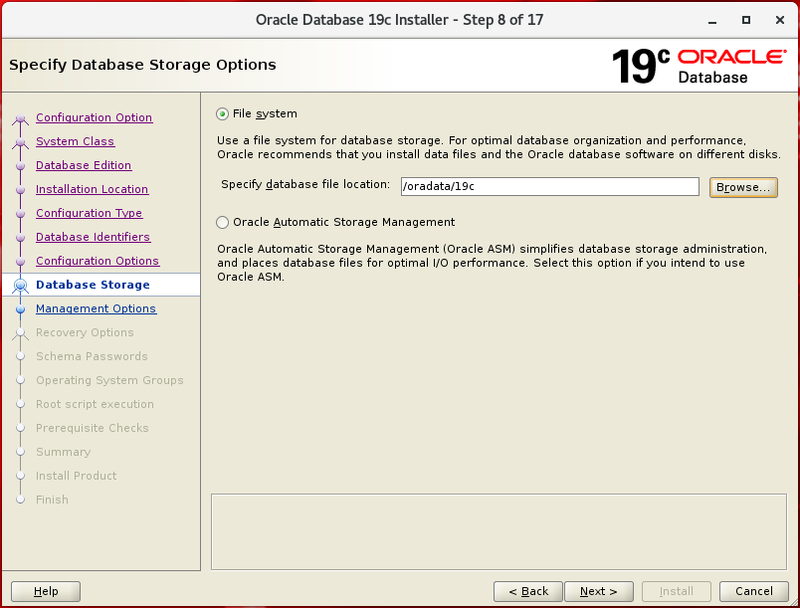 In this step, we will store our Oracle database 19c files on the File system. If you have Enterprise manager Cloud control then you can register with typing informations. You should choose recovery of your database. If you install this database for production, you should enable recovery. Define sys and system paswords like following. Define operating system groups like following. You can choose ” Automatically run configurations scripts ” for running root.sh script automatically. You can see verification results and you can ignore swap size. 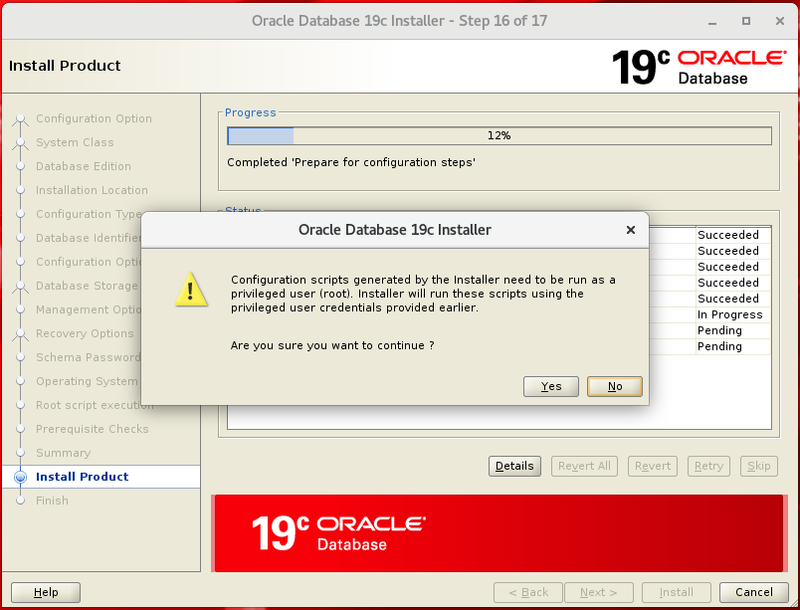 You can see installation summary with below screenshot. Click install button to start installation. Click yes button to run scripts. 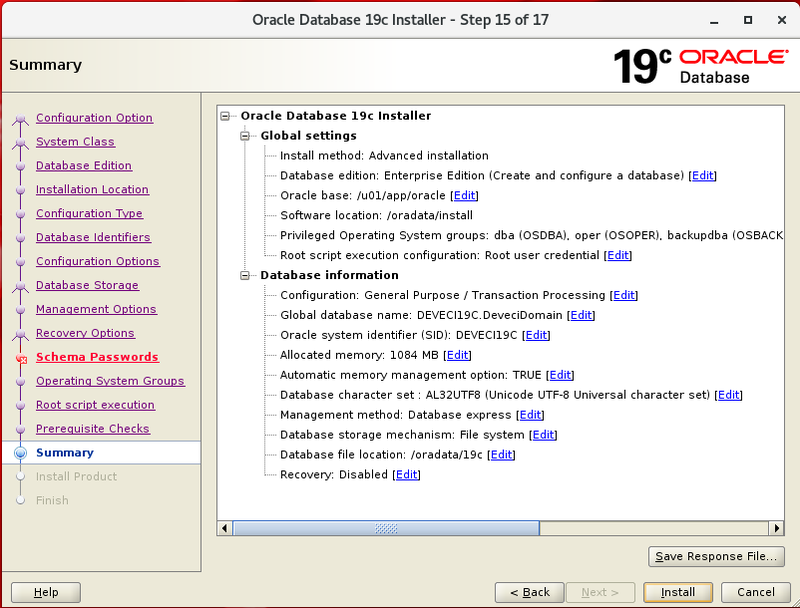 Oracle database 19c installation is complete like following. Second article about Oracle database 19c installation is like following link.